This section will provide a listing and information of the various Logging Mallet models out there, plus some of the interesting live steam Logging Mallet models that people have built. Nothing that I am aware of, mass production wise. 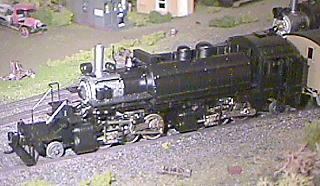 A few industrious individuals have scratch built the Uintah 2-6-6-2ts in Nn3. 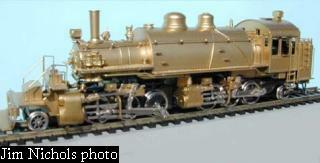 In 2001, Oriental Models considered importing N scale brass models of Sierra #38, but the project was cancelled. The Mantua HO scale "Articulated Logger" 2-6-6-2: an overview of this popular logging Mallet model. Imported by Custom Brass in 1982, 170 of these models were made by Daiyoung in Korea. The models are well detailed, complete with cab interiors. Gem imported around 682 models of #126 over the course of four runs: 1962, 1963, 1964, and 1982. The 1982 version featured more detailing, a can motor, and driver springs that are reportedly prone to jamming the mechanism. The 1960s versions were made by Akane Model RR Co of Tokyo, while the 1982 run was by Jonan. NWSL imported 202 of these Toby made models in 1959. 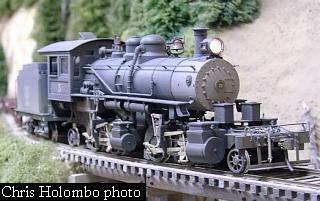 The #12 models were the first brass locomotives imported by NWSL. The models have a spring belt drive mechanism. Detail is pretty sparse, but what is there is correct. Made by Toby, two runs of #11 were imported; the first in 1960, and then again in 1966. The 1960 release had the same mechanism as the #12 model, while the 1966 release added closed gearboxes to the mechanism. The 1966 version also has slightly more detail, but there are also some errors not present on the 1960 version. The most noticeable is the use of arch-bar trucks on the tender of the 1966 version, they should be Bettendorf-type. Approximately 800 were imported in all. Two runs of #8, totaling 600 models, were imported in 1964 (open gearboxes) and 1967 (closed gearboxes). 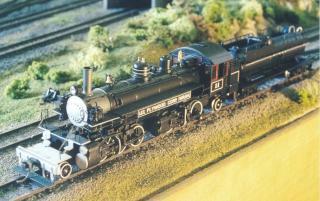 The models have good detailing, and represent #8 in its later years of service at Rayonier. NWSL ended their series of 2-6-6-2t models with a 1975 run of the first 2-6-6-2t Logging Mallet. 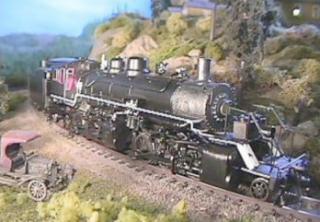 The models feature good detailing and represent #2 as it appeared towards the end of its service life. 250 Toho-built models of #200 were imported in 1971-1972. In 1969 NWSL imported 500 models of #201. By far the most common of the brass logging Mallets. Several thousand were imported between 1958 and 1975. The model represents the locomotive as built for Weyerhaeuser. Details were refined over the years, the later runs having brake shoes and other additional detailing. All were made by United. They are generally known to be reliable runners, if a bit noisy. 150 models imported in 1981. Same basic model as #38, but with tender doghouse, spark arrestor, and other different details. 350 United-built models imported in 1978. Made by United, imported initially in 1966 (475 models) and 1968 (275 models). 1978 run (200 models) has cab interior detail. 2-6-6-2 Caspar Lumber Company #5 "Trojan"
200 models imported in 1987. 2-6-6-2 Caspar Lumber Company #7 "Samson"
2 and 3-rail versions imported in late 2000. Well detailed, factory painted, some with green boiler jackets. Released 1996. Smoke unit. Same model as #51, only road number changed. Released 2001. Smoke unit + sound system. Same model as #251, only road number changed. 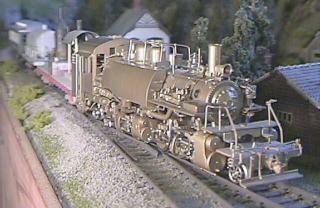 One of the members at Kitsap Live Steamers in Port Orchard, Washington owns a live steam 2-6-6-2 based on Sierra #38. There are also a number of live steam 2-4-4-2s out there.